This workshop aims to provide practical skills with EFL teachers to make the soft version of CLIL work in an EFL context. The class, addressing global issues, targets at upper-secondary or tertiary level students. This workshop focuses on designing tasks and managing students’ affective variables in particular. 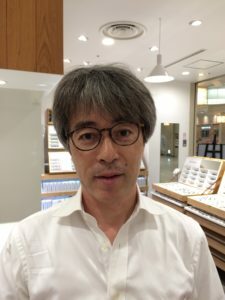 Kozo Yanagawa is an associate professor of Hosei University in Tokyo. He has received Ph.D. from University of Bedfordshire, CRELLA. Who is Kozo Yanagawa? What is the single characteristic that you want most people to know about you? Teaching cannot be possible without trust from and to the students. So we have to train ourselves, transform conventional teaching approaches, and transcend what we are now. Trust because this is the key to successful teaching and learning. It is a mystery as I have never ever been there. To meet old friends again and to make many new friends.